Carbohydrate Chemistry Reference from C.H.I.P.S. 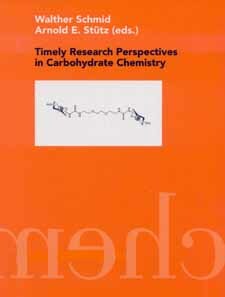 This book includes a collection of minireviews and research papers written by international leaders in the field of carbohydrate chemistry as well as promising young talents. The contents of the contributions span from natural products over structure elucidation with special emphasis on spectroscopy, syntheses and synthetic methods, biological activities, applications of carbohydrates and carbohydrate mimetics as well as their use as molecular scaffolds and carriers of biological information. Timely Research Perspectives in Carbohydrate Chemistry provides a representative overview of state-of-the-art research topics and approaches.